The first monument to the Nobel Prize-winning poet and writer Boris Pasternak will shortly appear in the centre of Moscow. 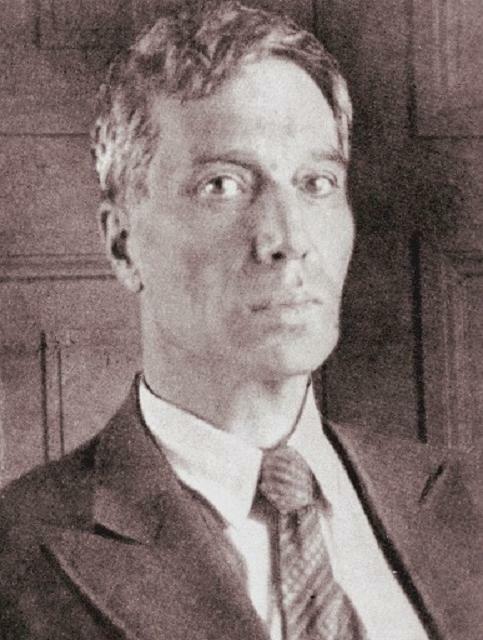 A full-sized bronze figure of Boris Pasternak will be placed near the house where the poet lived for 10 years. It is where he wrote his famous novel Doctor Zhivago. A contest has just been announced for the best design of the monument to Boris Pasternak. 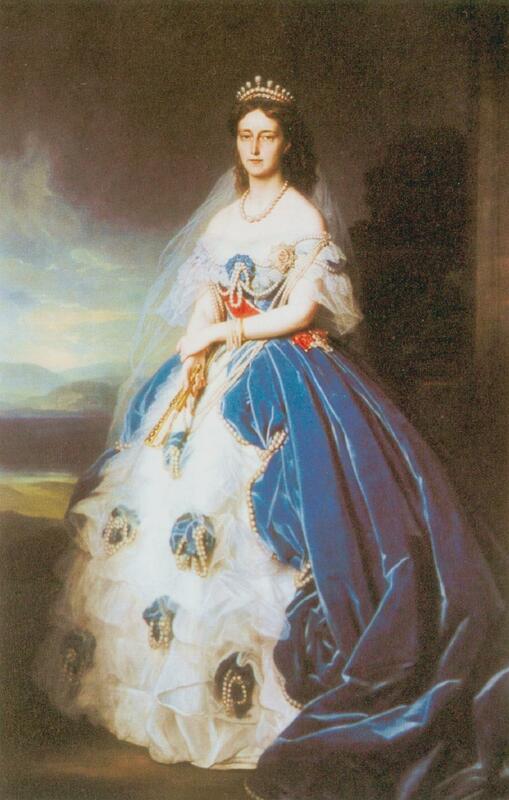 One of the 16 Bundesländer of the Federal Republic of Germany, Baden-Württemberg, will host for the first time The Days of Queen Olga, a series of cultural events in the memory of Russian Grand Princess Olga Nikolaevna (1822-1892). She was the daughter of Tsar Nikolai Pavlovich, who later became Queen Consort of Württemberg when she married Prince Karl Friedrich in 1846 (ruled as king, 1864-90). The event is organised by the Fund of Russian-speaking citizens of Germany Our New Names. One of the greatest Russian novels of 19th century, The Brothers Karamazov by Fyodor Dostoyevsky, was staged as opera in an adaptation by a composer from St Petersburg, Aleksandr Smelkov. The première took place as a part of the Stars of the White Nights International Festival. 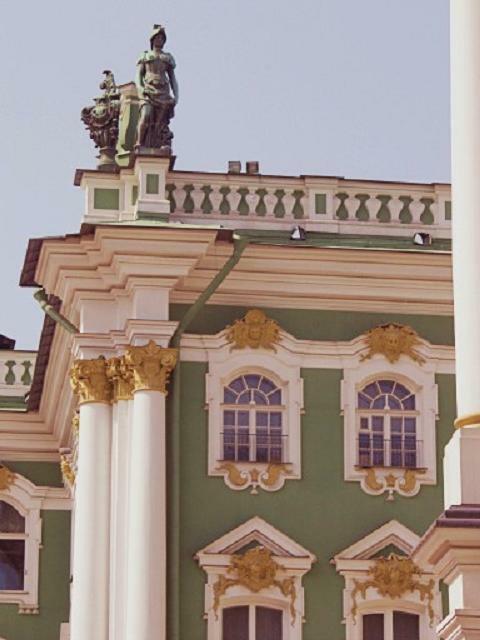 The 7th International Great Waltz Music Festival took place in the Winter Palace of the State Hermitage in St Petersburg. Seven years ago, the forum marked the revival of the tradition of the famous Pavlov Musical Seasons. In the middle of the 19th century, the young Austrian violinist, conductor, and composer Johann Strauss performed there. 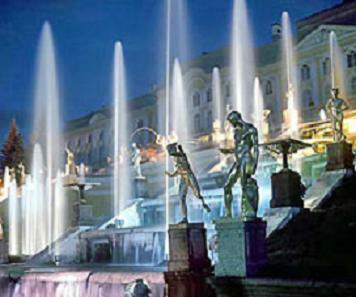 In all, there were 11 concerts, exactly the same number of times that Strauss had been to St Petersburg in the summer. Prominent Russian and Austrian opera and operetta singers together with conductors and musicians took part in the festival. Yekaterina Semenchuk, a soloist of the Mariinsky Theatre, said, “The concert dubbed ‘The Roads of Love’ presented the cream of the opera classics. We, the soloists, narrated the stories of women guided by the strength of love through their lives. Johann Strauss is one of the favourite composers of many Russian music lovers. it is difficult to imagine the musical heritage without his ingenious melodies. The image of sunny Vienna, full of love and live music, was here, in St Petersburg, for everyone who attended the festival. Strauss can easily be called a Russian composer as he created his best pieces in Petersburg”. The festival closed with a series of “encores”, which resulted in a separate final concert. This is an old tradition, when artists and musicians sing and play Johann Strauss once again on the last day of the festival. An der Schönen Blauen Donau… of course! Metropolitan Vladimir Sabodan of Kiev and all the Ukraine (1935- ). Pray for him, as he under attack by Orangies, Uniates, Schismatics, and America. What a cross this man carries! The spiritual leader (sic) of the Eastern Orthodox faith called Friday for religious unity within Ukraine and carefully hinted at possible independence for the local church, which is trying to move away from the powerful Russian patriarch, according to AP. Ecumenical Patriarch Bartholomew I of Constantinople is visiting the Ukraine for three days of celebrations marking the 1,020th anniversary of this region’s conversion to Christianity. However, the event risks turning into a fierce political battle between Kiev, which is eager to win independence from Moscow for the local church, and the powerful Russian Orthodox Church fighting to maintain its influence over this nation of 46 million. “We came to here to pray together with you for the unification of all Orthodox Christians in the Ukraine into a single church, a church of your people, a church of your country”, Bartholomew said at a festive welcoming ceremony at the airport. “We came as angels of peace, those who strive for unity, freedom and peace”. In a bow to Moscow, Bartholomew also thanked Russian Patriarch Aleksei II for the opportunity “to mark this wonderful occasion together”. Bartholomew’s visit is an important victory for Ukrainian President Viktor Yushchenko, who is trying to establish an independent Orthodox church in his country. 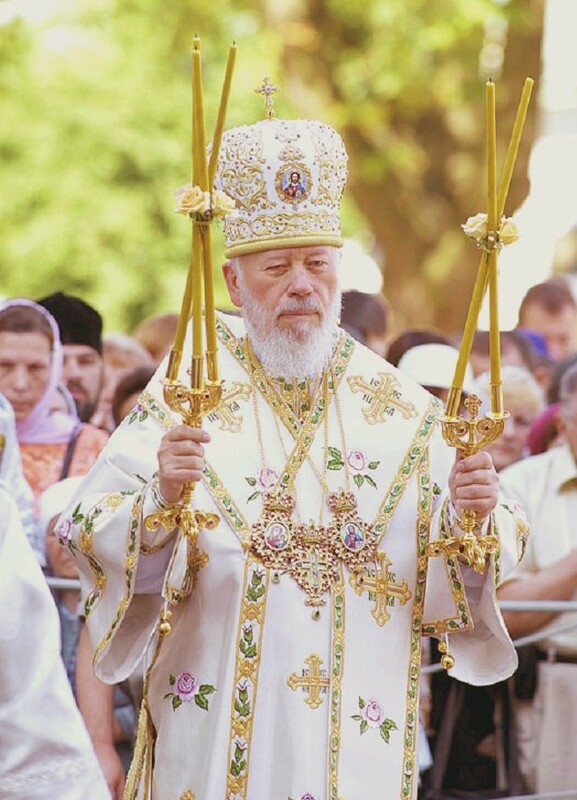 It is the first time the spiritual leader (sic) of the world’s Orthodox believers has visited Ukraine in 350 years. Bartholomew’s references to “a church of your country” and “angels of freedom” were interpreted by Ukrainians as support for their own church. Representatives of the Russian Orthodox Church complained they were shut out of the preparations. Patriarch Aleksei II is expected to arrive at the festivities Saturday. Experts (!) (sic) say that the Ukrainian church is bound to attain independence in the long run. However, an abrupt decision could lead to a deep split between Constantinople and the Russian Orthodox Church, which claims 95 million out of the world’s 250 million Orthodox believers and is the biggest in the world (As per usual, the Ukrainian Orangies get it wrong. There are 140 million faithful in the MP. We are two-thirds of Orthodoxy: editor’s note). Efforts to win autonomy have split the Ukrainian church, with two breakaway churches setting themselves up since the 1991 Soviet collapse. Both churches are smaller than the Russian-affiliated church in the Ukraine, which claims up to 28 million believers here. I have been trying to stay away from this story most of today. There are two reasons for this. Firstly, I do not wish to bore you with a concentration on one topic to the exclusion of all others. Secondly, it is shaping up into being a train wreck of colossal proportions. Black Bart is living up to his name, I am afraid. Unfortunately, Bart has convinced the western media that he is the “head” of Orthodoxy. Sadly, there are Roman Catholics who believe it. If Bart goes through with this lunatic suggestion of his, they are going to find out otherwise. I am VERY apprehensive over tomorrow. Yushchenko is not playing with a full deck, and the chances of an attempted violent act against His Holiness Aleksei or His Beatitude Vladimir are too high for comfort. I wish that His Holiness would cancel this trip. At the least, he is going to be humiliated by Bart and Yushchenko. If I had the opportunity, this is what I would say, “Your Holiness, please stay in Moscow! Don’t glorify Bart and Yushchenko with your presence”. Chinese psychologists will visit the Centre of Emergency Psychological Assistance under the Ministry for Emergency Situations. In particular, they showed great interest in the work of Russian psychologists in the Sichuan earthquake zone. Yulia Shoigu is the director of this Centre, and we should mention that she is the daughter of the Minister for Emergency Situations, Sergei Shoigu. However, she does not use her father’s authority as a cover. 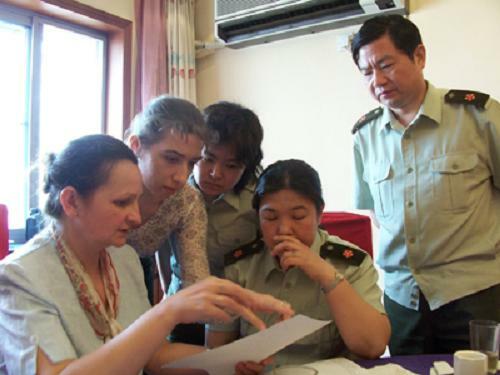 Ms Shoigu, Candidate of Science (Psychology), has headed one of the units of the Ministry for Emergency Situations since 2002. In an interview, she said that her job is “grievous work”. “Really, the key task of the Centre’s staff members is to offer emergency psychological help to survivors in natural disasters and all kinds of accidents. Equally difficult is another task, to offer help to all those who lost their relatives, to help them cope with the shock that comes from the death of their loved one”, she said. Russian specialists proved top-notch professionals, as their work in the Sichuan Province showed. By the way, Ms Shoigu arrived at the scene on the first flight of rescuers from Russia. The psychologists from the Ministry for Emergency Situations worked at ground zero of the earthquake, and they offered assistance to foreign nationals for the first time, in this case, victims of the Sichuan earthquake. Within three weeks, they treated more than 300 people, out of which 250 were children. We don’t know what they did to overcome the language barrier, but, the results were excellent. Ms Shoigu said that modern technologies were used to offer help to all those who found themselves in a difficult situation. These methods are unique, since if one uses them, the knowledge of foreign languages is not necessary. The Chinese praised the work of Russian rescuers highly. Words of gratitude from ordinary people and also thanks from top-level Chinese leaders, including President Hu Jintao are proof of this. That is why Chinese psychologists are very interested in the work of their Russian colleagues and want to learn more about their experience. Deplorably, earthquakes and floods occur in China very often. Russian psychologists are open to all questions, Ms Shoigu stressed. They will listen to their Chinese colleagues with interest. Whilst on a voyage circumnavigating the globe, the Russian sailing ship Pallada established a new world speed record for vessels of its class. She reached a speed of 18.7 knots per hour under sail, without powered assistance. The onboard computer of the ship verified the data. It was also proven by using information from one of the ship’s video cameras. The Pallada left on her globe-girdling journey in November 2007, sailing from the port of Vladivostok. Her crew is made up of cadets from marine institutes in Russia. The project is dedicated to the 190th anniversary of the around-the-world voyage of the famous mariners Faddei von Bellingshausen and Mikhail Lazarev, and is also in honour of the 50th anniversary of Russian research stations in Antarctica. The total length of the voyage is some 32,000 nautical miles. It sailed into the Western Pacific, then to Australia, the Panama Canal, into the Atlantic Ocean, then, to the Mediterranean, through the Suez Canal to the Indian Ocean, and, finally, it shall arrive back in Vladivostok sometime this August. In the interim, the Pallada shall have visited ports in 22 countries of the world. According to Vladimir Kiryukhin, the spokesman for the around-the-world voyage, Pallada broke the speed record on Sunday 30 July under extremely adverse weather conditions. The previous speed record was 18.3 knots per hour, and was set under similar circumstances. Mr Kiryukhin said, “As we were leaving the Formosa Strait going into the East China Sea, the vessel found itself in the midst of a powerful tropical typhoon, which produced much damage in the Philippines and on Taiwan. In such difficult conditions caused by the storm, the captain of the Pallada, Nikolai Zoshchenko, and all the members of the crew showed not only the highest professionalism and raw courage, but, were able to confirm yet again that their ship is the fastest tall-ship on the planet. There is no doubt that 18.7 knots per hour is far from this ship’s limit. We only need the proper amount of wind in our sails, and I am certain that the Pallada shall easily break the 20 knots per hour barrier”. The Russian sail training ship Pallada was built eighteen years ago in the Polish seaport of Gdańsk. It has its place in the Guinness Book of World Records as the fastest sailing vessel in the world, setting a mark of over 18 knots per hour. Pallada has won numerous awards at prestigious international festivals and famous regattas. The honoured guests of the ship included many of the most famous people in the world, presidents, scientists, actors, and others. Normally, each year, the Pallada makes four training voyages into the Asia-Pacific Ocean region. In its more than 100 major international voyages, the Pallada visited more than 70 different ports in all parts of the world.